Order Online - How much mulch or soil do you need?  Ready to start using Compost Company's premium quality products? Not sure how much you need? Try our compost calculator to determine the right amount for your project. NOTE: We deliver in quantities of 4 cubic yards and up. After you submit the Order Form, our office will contact you to schedule delivery or pickup details. Try our compost calculator to determine the right amount for your project. We deliver in quantities of 4 cubic yards and above to most areas. For distances greater than 30 miles, a minimum of 5 cubic yards applies. Compost should be added to your soil at a ratio of 1 part compost to a minimum of 2 parts native soil. For lawns: Lawns can look great without chemicals. Aerate your lawns, then apply 1/4 – 1/2 inch of compost and gently rake into existing soil. Reseed and water as usual. For vegetable or flower gardens: Apply 1 – 3 inches of compost and rototill or mix into existing soil. For fall garden cover crop: Spread 1 – 3 inches of compost and seed cover crop in the fall to protect exposed soil. Incorporate the cover crop into the soil and proceed with gardening as usual. To determine the cubic yardage of compost you need for your own garden simply enter the square footage of the site & your desired depth in inches. © 2019 The Compost Company. All Rights Reserved.